Blockchain technology, despite it's young age, has already shown immense potential for changing the way global businesses and governments operate. Although primarily known as the underlying fabric for cryptocurrencies, such as bitcoin, the practical applications for blockchain technology extend far beyond any single use case. Core features, such as transparency and immutability, make blockchain technology especially attractive for business. Additionally, blockchain technology may be applicable for use in a wide range of sectors from finance to healthcare, with applications ranging from faster transaction times, fraud prevention, data integration, and even food safety. Currently, there are over 80 corporations developing practical use cases for blockchain related technology, and according to the World Economic Forum, it’s projected that blockchain platforms will store 10% of global GDP within the next decade. Due to developing advantages for deploying blockchain-for-business, we believe identifying those companies with the largest potential to optimize their business using blockchain technology would be helpful for investors. To help navigate this new sector of investing, Reality Shares created a proprietary Blockchain Score™ methodology which seeks to identify progressive companies on the forefront of blockchain technology. The Blockchain Score utilizes seven quality factors that represent important metrics for identifying and realizing a company’s blockchain-related potential, visualized through a scaled ranking system. As you’ll see, the higher the Blockchain Score and subsequent ranking, the more active the company is in adapting and deploying blockchain technology throughout its’ business infrastructure. 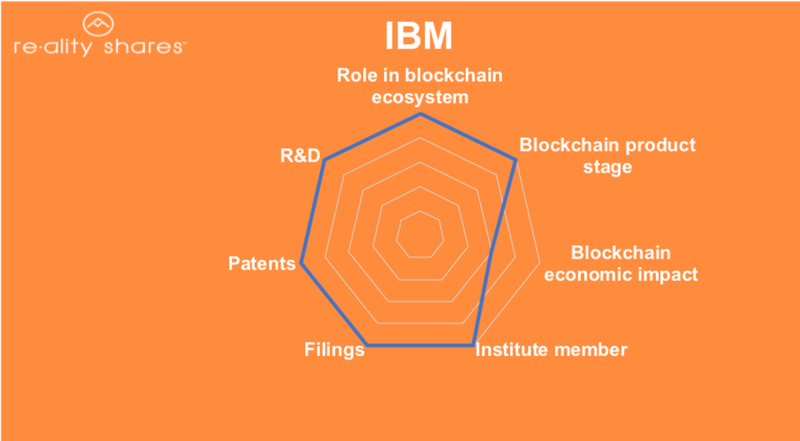 With a Blockchain Score of 92, IBM is far and away the overall leader in blockchain technology development, and our number one stock selection in the group. As a technological pioneer since its founding in 1911, IBM has continuously developed new innovations; most recently in the fields of artificial intelligence, cloud computing, the internet of things, and blockchain. Currently, IBM’s blockchain solutions efforts are supported by some 1,500 experts, with the company participating in more than 500 blockchain projects. 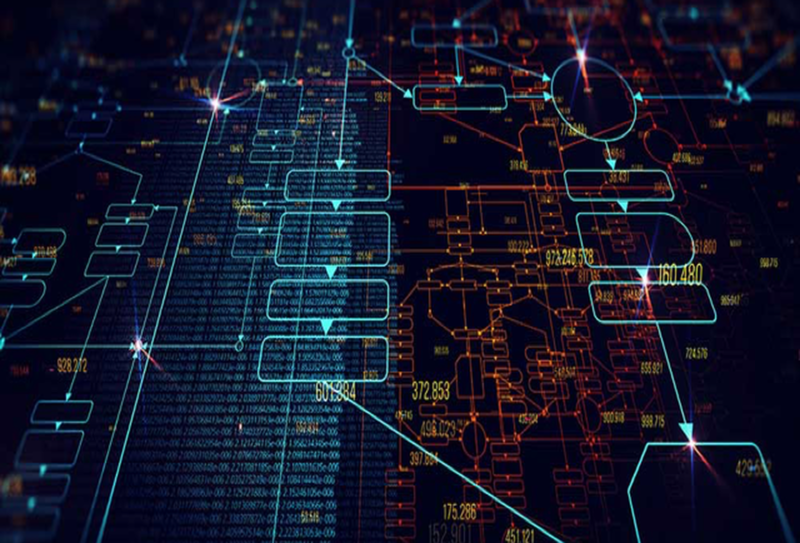 On the product front, IBM’s blockchain platform provides a fully managed, blockchain as-a-service (BaaS) offering delivered through the IBM Cloud. In 2018, IBM launched several large blockchain initiatives including the IBM Food Trust platform launched with Walmart - which adopted a platform to improve food safety through an integrated supply-side blockchain. Similarly, two additional projects supported by IBM called “we.trade,” a blockchain-based trade finance platform, and “CLSNet,” a blockchain-based payment service, both launched successfully during 2018. With a Blockchain Score of 77, our number two blockchain-related stock pick for 2019 is Alibaba, the largest Chinese e-commerce and technology firm. 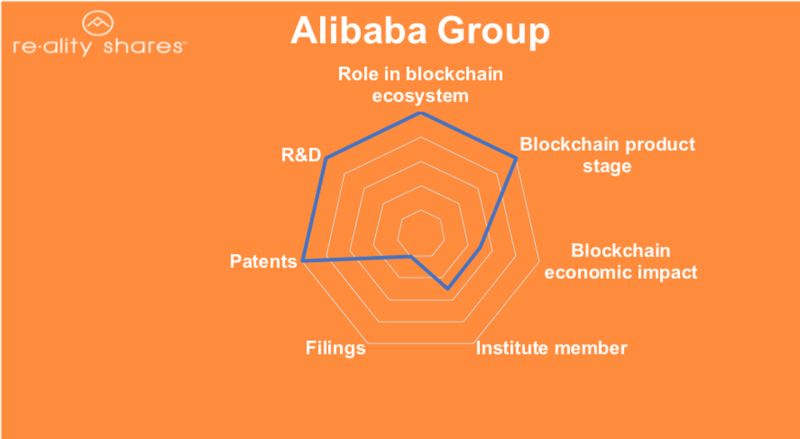 Alibaba is blazing the blockchain path with 90 patents filed for blockchain technology as of September 2018 (compared to the 89 blockchain-related patents filed by IBM in the same time frame). The company has already developed several blockchain solutions to help optimize and integrate their various business segments. Lynx International, a subsidiary of Alibaba, has successfully implemented blockchain in its logistics division. Another Alibaba subsidiary, “T-mall,” uses blockchain to improve traceability to fight counterfeiting and food adulteration. The company has also partnered with the Chinese government for using blockchain in health care. On the payments front, the company's affiliate firm “Ant Financial” recently launched a remittance service based on blockchain technology in Hong Kong. After successfully implementing blockchain projects in China, the company has now started extending its cloud blockchain-as-a-service (BaaS) to major regions outside China. 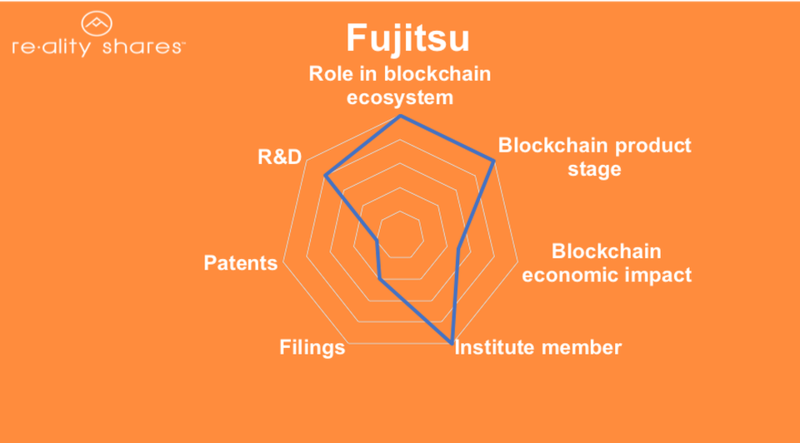 With a Blockchain Score of 74, our number three blockchain-related stock pick for 2019 is Fujitsu. Japanese technology firm Fujitsu is the world's 7th largest IT services provider and number one ranked in Japan. It was recently selected as a vendor for the development of a transfer settlement system for the Japanese Bankers Association's (JBA) Collaborative Blockchain Platform. Additionally, the company recently opened a Blockchain Innovation Center in Brussels, Belgium. 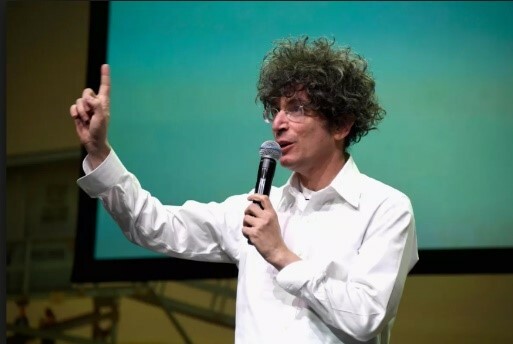 The company is also working on developing other services including fast track consulting based on Proof of Business (PoB) and 360 Degree Blockchain Use Case Deep-Dive, aimed at helping other companies’ develop successful blockchain solutions quickly. 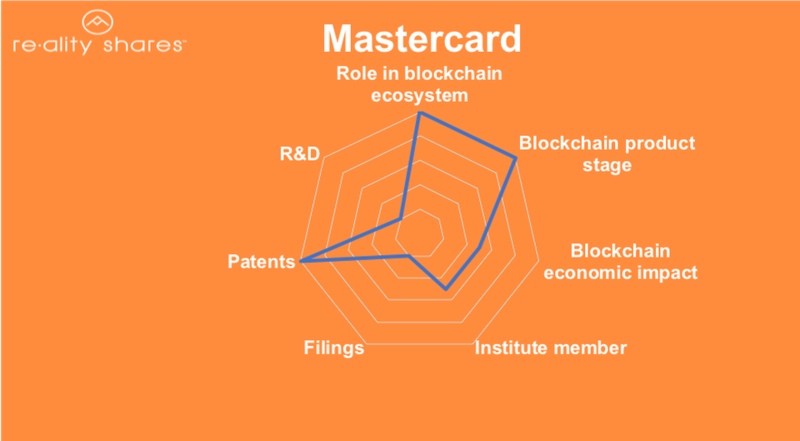 With a Blockchain Score of 69, our fourth blockchain-related stock pick for 2019 is Mastercard. Ironically, even though the underlying tenet of blockchain technology is meant to make centralized intermediaries like Mastercard obsolete, the company is proactively adopting blockchain technology as it looks to increase efficiency in transaction timing, lowering transaction costs, and increasing fraud protection. The potential use of blockchain technology to mitigate fraud in the lending and credit industries alone could potentially save billions of dollars - as fraud losses alone in 2016 were estimated at $22.8 billion. Mastercard is actively exploring the use of blockchain based solutions to help alleviate these significant fraudulent losses. Additionally, the company has already created APIs on which developers can start creating blockchain related applications. Even with the potential for blockchain technology to disrupt its main credit card processing business, as well as the greater banking and lending industry, Mastercard is strategically positioning itself to adapt to this disruption by incorporating blockchain technology in its’ DNA. 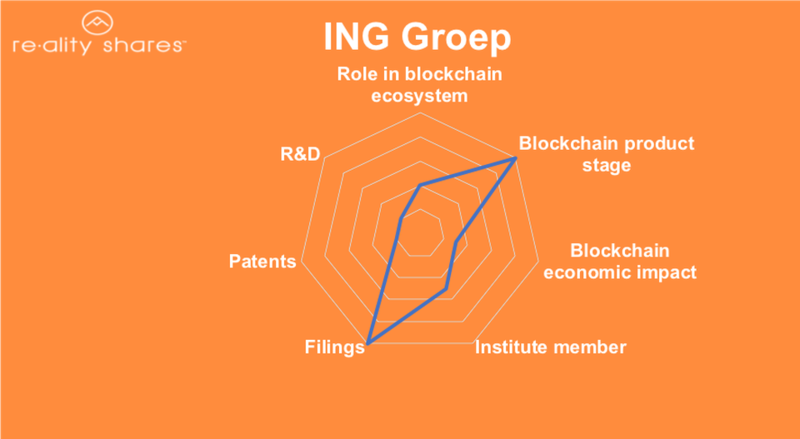 Rounding out our top five list with a Blockchain Score of 53, is the Dutch banking and financial services firm, ING Groep. In just a short period of time, the bank has made tremendous efforts to build a presence with blockchain technology. Beginning in 2017, the bank started its association with blockchain technology with Easy Trading Connect (ETC), a platform for trade finance in commodities. Currently, the company’s blockchain initiatives include 44 proof of concept projects and the successful completion of eight live pilots. These blockchain initiatives focus on client data privacy, collateral lending, physical commodities, and debt transactions. The bank’s utilization of blockchain for international trade has potentially even wider applications. With the adoption of blockchain technology, the digitization of trade-related paperwork can lead to increasing exports and reducing both transaction times and costs. As per United Nations research, such initiatives in the APAC region alone can potentially increase exports by as much as $257 billion a year, with a 44% reduction time to export and a cost savings of 31%. In 2019, ING expects to build upon its experience and continue developing in the blockchain space to help better serve its’ clients. As blockchain technology evolves, quantitative blockchain methodologies like the Blockchain Score™ help investors identify those companies poised to increase business process efficiencies, with resulting potential increased economic returns, owing to adoption of blockchain technology. The Reality Shares Nasdaq Blockchain Economy Index utilizes this proprietary methodology in its’ portfolio construction while also drawing on the support of a distinguished advisory board of blockchain innovators and technology thought leaders guiding the strategy for true blockchain impact. As the ubiquity of blockchain technology in business and finance continues, let 2019 be the year investors consider adding some blockchain exposure to their investment portfolio.